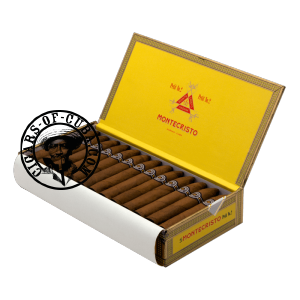 Montecristo's Classic range initially only comprised vitolas numbered from 1 to 5. This is the first addition in the Línea Clásica in many years. Montecristo Petit No.2 (ring gauge 52 x 120 mm in length) is a figurado shape (tapered at one end) in keeping with the brand’s tradition, the classic Montecristo No.2 being considered one of the references for the figurado shape. The Montecristo Petit No.2 is a vitola designed for those who love the brand’s figurado formats, but who can now enjoy the Montecristo blend in less time. The Habanos Montecristo Petit No.2 are Totally handmade, long filler like the rest of the Montecristo range. The Petit No.2 incorporates the new Montecristo band. The Montecristo Petit No.2 are Totally handmade, long filler like the rest of the Montecristo range. The Petit No.2 incorporates the new Montecristo band. It has a powerful and a very rich, spicy smoke. Can speed up quickly, so control is needed to avoid over heating at the finish.